Since graduating from Creighton Law School in 1984, Randy Shanks has focused his law practice on protecting the rights of people who have been seriously injured and harmed by the wrongful acts of others, corporations and insurance companies. 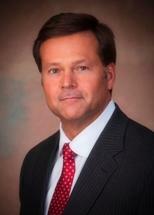 Randy Shanks has represented individuals in all forms of personal injury and wrongful death litigation. His practice areas are motor vehicle accidents, medical malpractice, nursing home neglect, and worker's compensation cases. On behalf of his clients, Randy Shanks has obtained verdicts and settlements that total in the millions of dollars. Randy Shanks is past President of the Iowa Academy of Trial Attorneys (2010-11), a member of the American College of Trial Lawyers where fellowship is extended only by invitation to those experienced trial lawyers who have mastered the art of advocacy and whose professional careers have been marked by the highest standards of ethical conduct, professionalism, civility and collegiality. Randy also is a member of the American and Iowa Associations for Justice. Because our system of justice is adversarial in nature, the outcome of your case is often determined by the advocacy skills of your lawyer. When your future is at stake, EXPERIENCE MATTERS!